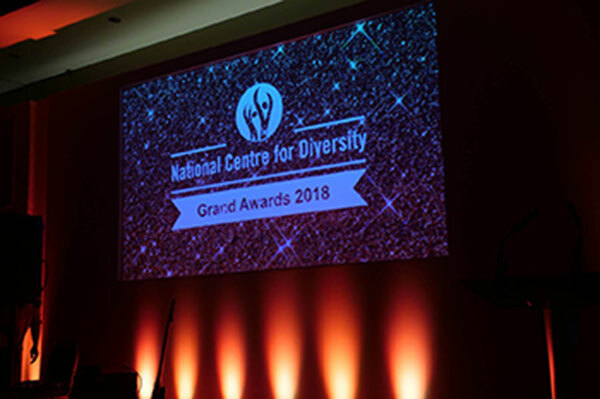 BHASVIC made the top 100 of national organisations at the National Centre for Diversity Awards evening in London and was given special mention for the college's first year of involvement in the event. Equality, Diversity and Inclusion (EDI) Co-Ordinator Aoife Tobin and Maths teacher Grace Geilinger represented BHASVIC for its excellent work in embedding Equality, Diversity & Inclusion within the college. Congratulations to both Aoife and Grace for making the short-list of 8 within their s...eparate categories of EDI Co-Ordinator of the Year and Employee of the Year, from a nationwide set of nominations. BHASVIC EDI Co-Ordinator Aoife Tobin noted at the awards evening: “How encouraging it was to see not just public and charity sector organisations, but private companies committing to embedding EDI within their practices. Guest speaker, Dr Shahid Mahmood (Chair of Governors at Leeds City College), was particularly inspiring in his talk about how far society has come, in his experience, and the opportunities there are for the next generation, as more companies make a positive decision to ensure EDI is at the heart of what they do”.